Messages in iOS has a great new feature called Stickers. Like Emoji, it's a fun way to liven up your conversations! Tennis is a sport where you can experience extreme emotions, one minute you can be the happiest person in the world, and the next minute you can be the saddest. 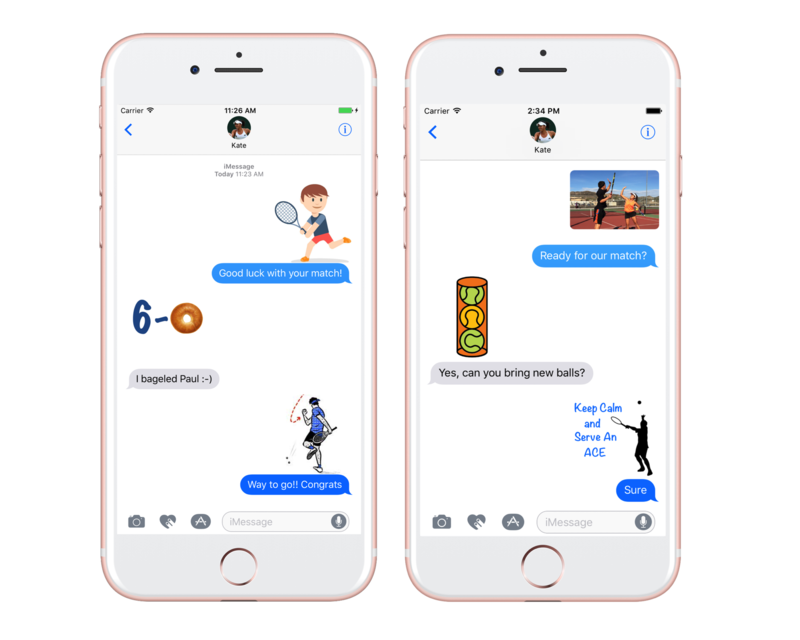 Now you can express your pain and pleasure with our tennis stickers pack! Use our tennis stickers to inspire, motivate and entertain. Popular tennis sayings and illustrations will make your tennis conversations more fun and engaging. How to use your Stickers? Tap on the App icon. Tap on the four oval on the lower left corner to open the app drawer. You should see the Tennis Stickers pack. Select a sticker and add it to your message. 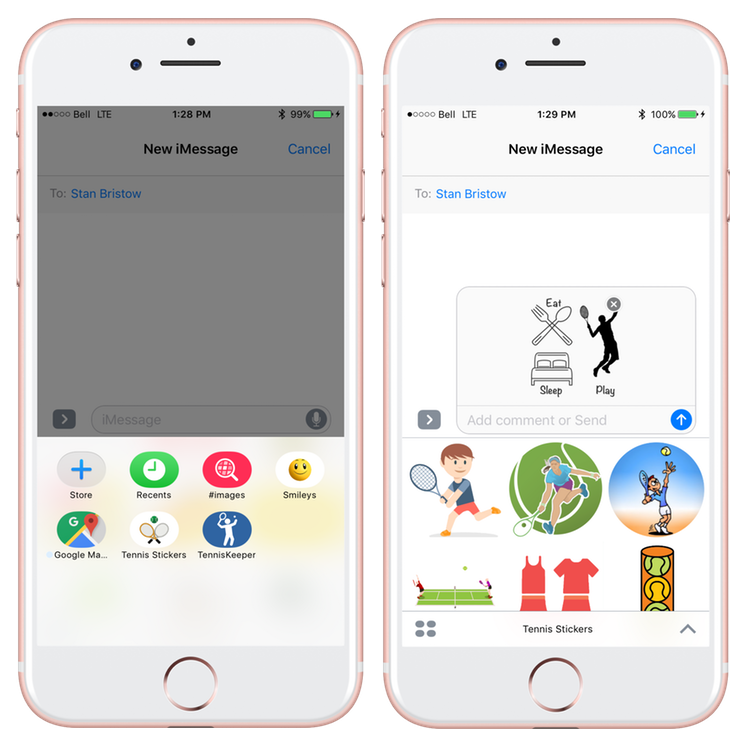 If you do not see the Tennis Stickers pack, tap on the Store icon to access the iMessage App Store. Select Manage and turn on Tennis Stickers.